Access to your accounts 24 hours a day, 7 days a week. Obtain Account balances and transaction information for your accounts. Obtain copies of your paid checks. Review detailed information about your loan and mortgage payments. Transfer funds between your deposit accounts immediately, or schedule them in the future. Pay bills electronically. Save time and the cost of checks and postage. Make payments to any person or business (a “payee”) in the United States. Schedule and make either one-time or recurring future payments. Send Stop Payment orders for bill payments. Have bills sent to you electronically, instead of in the mail. Online banking “Bill Pay” allows you to pay bills from your Milford Bank checking account. Using Bill Pay eliminates the time consuming and costly process of writing checks, addressing envelopes and paying for postage. These electronic bill payments (e-pays) are processed by a company called CheckFree. They process these transactions one of two ways. The first is called “Electronic to Check.” That is where a paper check is sent to the payee. The second is called “Electronic.” That is where an electronic credit is made to the payee’s bank account. 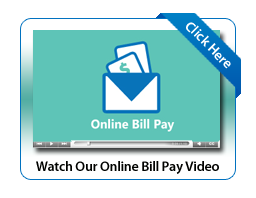 Our Online Bill Pay service features a dynamic calendar tool which will display the earliest available payment date for each of your payees. More than half of all payments sent electronically may be sent on the same day or the next day. The calendar will show all possible payment dates over a two month period and can highlight the current date and the bill’s due date. Bill reminders will allow you to set preferences for receiving e-mail notifications reminding you your bill has arrived and/or your bill needs to be paid. This tool enables you to control the entire bill payment life cycle. Numerous other features will contribute to the simplicity, speed, control and convenience of your online banking experience. Some of them are: “smart pages” that alter based on the task you are trying to complete, payment confirmation numbers, memos, notes, automatic payment editing, etc. 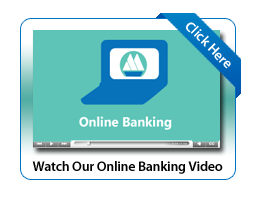 Best of all – use of online banking and bill pay is free! If you have any questions about the features of Online Banking, please contact us at customerservice@milfordbank.com or (203) 783-5700.